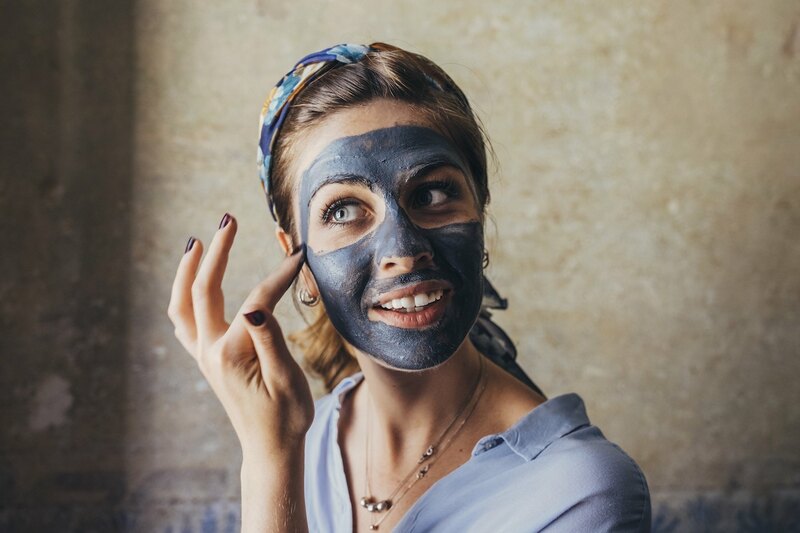 If you’ve ever considered Marie Kondo-ing your mask collection, but have been worried about getting rid of something you might need some time in the distant future, you’re in luck: You can get many of the same skin-boosting benefits from the products in your pantry as the one’s you’ve been keeping under your sink for the last five years. DIY moisturizing masks are the best way to give your skin some extra all-natural hydration without having to hoard 200 sheet masks in the bathroom cabinet, mostly because they all utilize things that any wellness-savy person likely already has on hand. And while there are undoubtedly plenty of designer moisturizing masks worth adding to your cart on the interwebs (and then keeping in your beauty cabinet “until you need them”), there’s something to be said about making one of your own. “You know exactly what’s in the product and at what proportion when you make it yourself,” says Dermatologist Adarsh Vijay Mudgil, MD, medical director of Mudgil Dermatology. “DIY products also generally have fewer ingredients than pre-made ones, which decreases the chances of irritation or allergy.” Plus, they tend to cost approximately a tenth of the price of the stuff you’d find on the shelves. Read on for some of our favorite DIY moisturizing face masks, because who needs a stocked skin-care collection when you’ve already got a stocked refrigerator? And, if you’re feeling inspired, you can donate all of your unused, unwanted masks here, then get to mixing up some magic. While honey, watermelon, and potato aren’t exactly three ingredients you would ever want to see together on a plate, they do have some serious skin-boosting properties when they’re combined for the sake of a DIY moisturizing face mask. “These three special ingredients contain the perfect variety of phytonutrients and antioxidants to heal and nourish your skin, restoring it back to health and delivering that perfect glow,” says facialist Ildi Pekar, who’s responsible for the radiant skin of supermodels like Miranda Kerr, Irina Shayk, and Lindsay Ellingson. So while you may not be tempted to eat the questionable combo, you will want to slather it on your face on the reg. 1. Boil potatoes until soft. Mash or blend until you get a “mashed potato” consistency. 2. Blend or crush watermelon and add honey. 3. Mix together. Apply evenly on your face and leave on for 20 minutes. Rinse off with warm water. When Queer Eye’s Jonathan Van Ness shares any sort of beauty advice, we straighten up and listen—especially when it involves things that we’ve already got lying around in our pantries. His go-to involves oatmeal, which acts as a gentle exfoliant and Manuka honey, which is a known moisturizer, anti-bacterial, and acne-fighting agent that he says “promotes skin healing even more than normal honey would.” That’s it! 3. Leave on for 20 minutes. Rinse off with warm water. You’re likely familiar with aloe’s calming properties when it comes to treating sunburns, but what you may not know is that the ultra-moisturizing ingredient can be used to help you deal with other skin conditions, too. “Aloe vera speeds up your skin’s ability to heal and it’s a great moisturizer,” says Adina Grigore, skin-care guru and founder of S.W. Basics. “It also fights inflammation and it’s high in antioxidants.” Plus, it helps to reduce heat, which makes it a great anti-inflammatory option (and thus, sunburn treatment). 1. Place the aloe, honey, and lavender oil in a small bowl and stir well so that the honey melts into the aloe and lavender. 2. Apply with clean hands to entire face. 3. Leave on for a few minutes up to a half hour. Store extra mask in a jar with a lid—it will last a few months. 4. Rinse for a glow. You can shop celeb facialist Joanna Vargas’ products online, or you can DIY one of her favorite masks all on your own. Her pumpkin face mask is high in antioxidants like vitamin A, C, and E, and is packed with enzymes to help slough away dead skin to leave your complexion glowing. Plus, sweet potato is rich in beta-carotene to fight free-radical damage and promote cell turnover, yogurt has probiotics, honey helps to moisturize skin, and cinnamon ramps up circulation and acts as an antibacterial to help squelch acne. TLDR? Pumpkin may seem like a seasonal ingredient, but you can use this DIY moisturizing face mask all year round. 1. Mix all the ingredients in a bowl. 2. Apply to damp skin and leave on for 10 minutes. 3. Rinse with tepid water and a muslin cloth. Leave it to a Victoria’s Secret angel to know how to get a runway-worthy glow with the same ingredients you’d usually use to make a smoothie. “When you do your groceries, just buy a little extra for your beauty routine,” she says of the trick behind her go-to DIY moisturizing face mask. “Brazilians love to have a tan, but after the sun, your skin is tired, and you want to have a glow, so this [face mask] is going to help a lot.” It combines unsweetened acai, avocado, mashed-up strawberries, and honey, which offer up the perfect blend of antioxidants (fun fact: strawberries are a great source of vitamin C) and moisturization. 2. Apply to damp skin on face and neck, leave on for 5 minutes. Avocado isn’t just great for spreading onto toast—it’s also great for calming and moisturizing skin. “Avocado is rich in antioxidants and healthy fats,” says Dr. Mudgil. “This helps your skin cells fight toxins and stay hydrated.” This is why you’ll frequently see it in sleep masks and moisturizers, but instead of pouring out the big bucks on fancy products, grab the other half of your lunchtime salad topper and slather it on your skin. 3. Rinse with warm water. If making a DIY moisturizing face mask isn’t quite your thing, here are all the ways to integrate fruit into your skin-care routine without actually having to mash it up yourself. And here’s the one sneaky vitamin you never knew you needed in your AM + PM regimen.